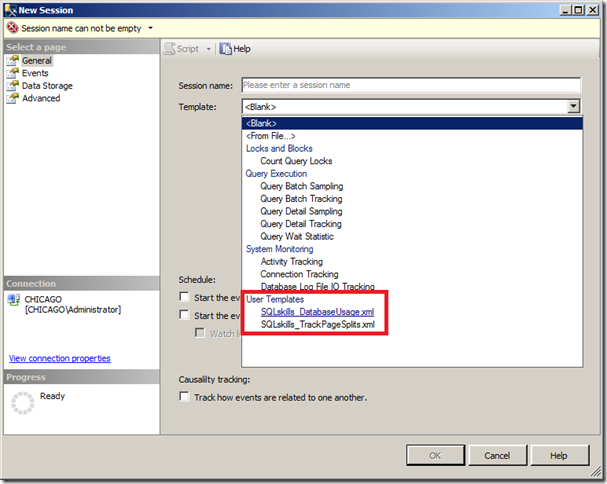 One of the features of the Extended Events UI in SQL Server 2012 is the ability to export an event session definition out to a template for future reuse. 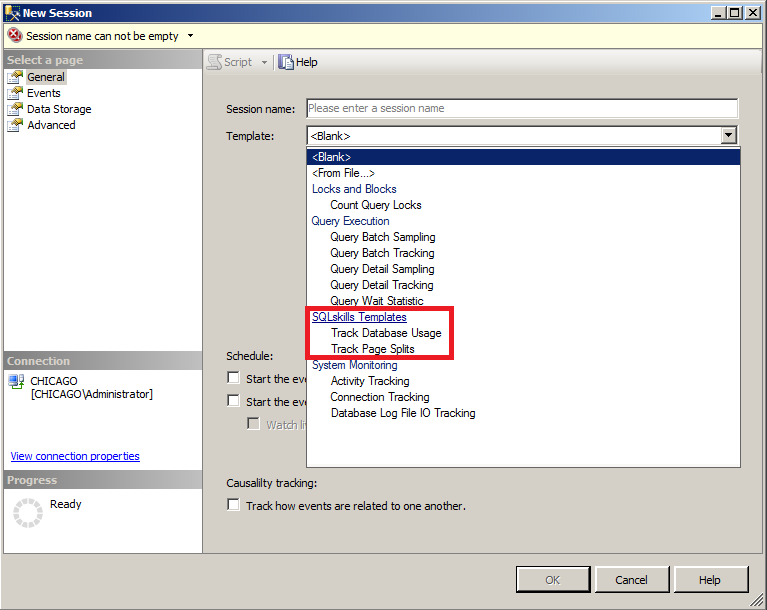 This can be accomplished through the right-click menu for an event session and then by selecting the Export Session menu item as shown in Figure 1. 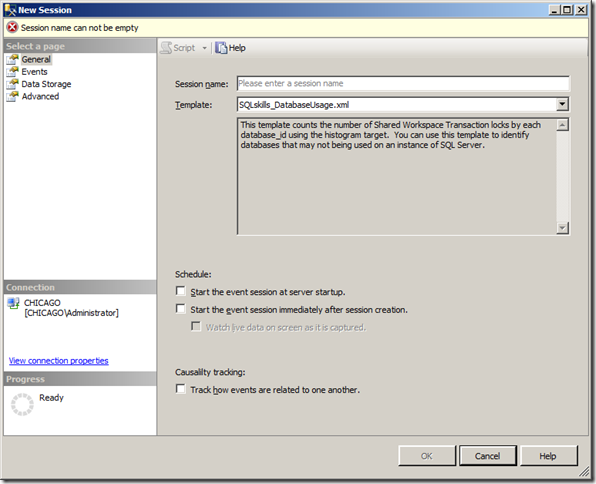 Event sessions that have been exported are saved in the %USERPROFILE%\Documents\SQL Server Management Studio\Templates\XEventTemplates path on the machine that is running SQL Server Management Studio. 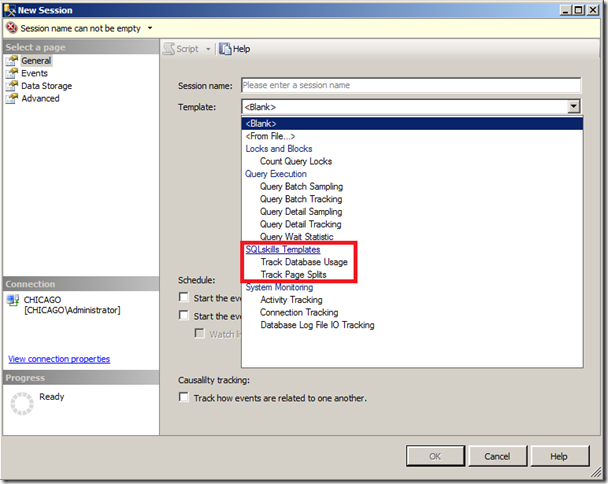 When you open up a New Session Wizard or the New Session dialog to create a new event session, the templates will display the user defined templates as shown in Figure 2. By adding these elements manually into the session template XML between the event_session and first event elements, the UI can interpret the information for display about the template. However, if the template resides in the user templates path, only the templateDescription element is rendered in the UI. The templates in the user templates path all display in the UI as shown in Figure 2 above, but once selected the template description will populate as shown in Figure 3. If you move the template file to the default template path, the UI will appropriately categorize the template based on the templateCategory element and will display the name in the templateName element as shown in Figure 4. 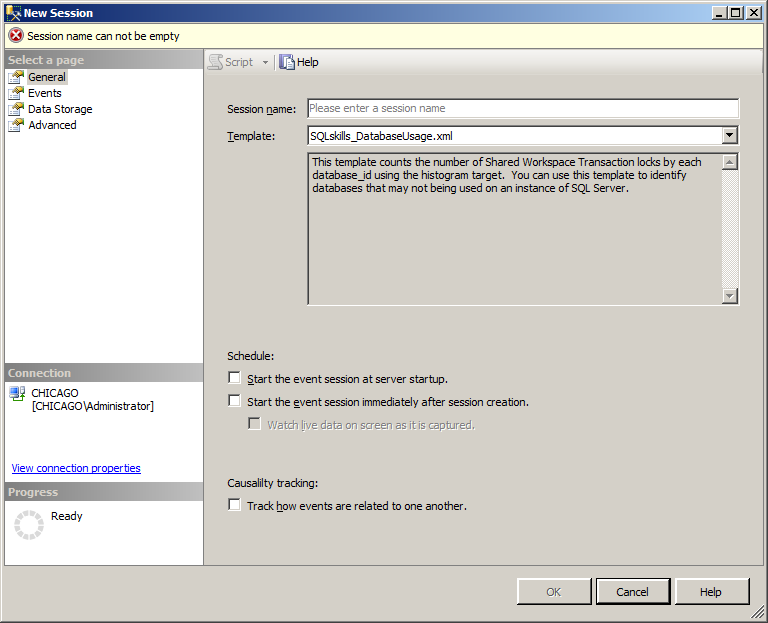 This shows two customized templates from the SQLskills collection of event sessions that be released as a set of templates that we’ve made use of in client work, and that I have written about in different blog posts and articles over the last three years while working with Extended Events. Watch this blog for a final release of these templates in the near future.